I have a couple of cards to share in this second post for the day. This month's one layer simplicity challenge is "hip to be square". This card itself is square (a 8.5" x 4.25" piece of hot press watercolor folded in half). 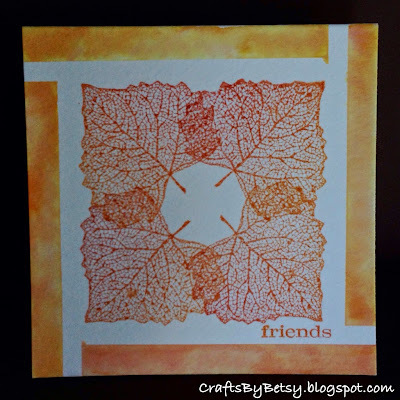 I noticed this leaf point (Images © 1990-2014 Stampin' Up!) created a nearly perfect 90 degree angle for each corner. This card, came together in my head first and actually worked out exactly as I'd planned (I usually have to change things up). 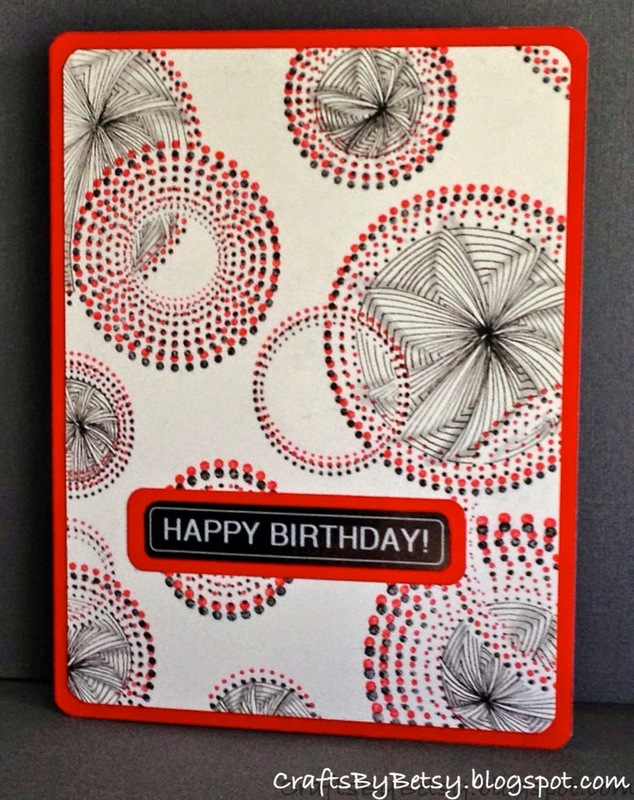 I used a square centered on the card as a template and put down artists tape beside it as a mask. After removing the template I was able to stamp the leaf easily in each corner using a stamp positioner and Big and Juicy Foliage Rainbow Ink. I stamped the ink pad onto an acrylic block and added water then painted the ink onto the card edges with a wet brush for a watercolor effect. The colors separated nicely with the water so you can see the yellow, orange and red shades instead of just one color. 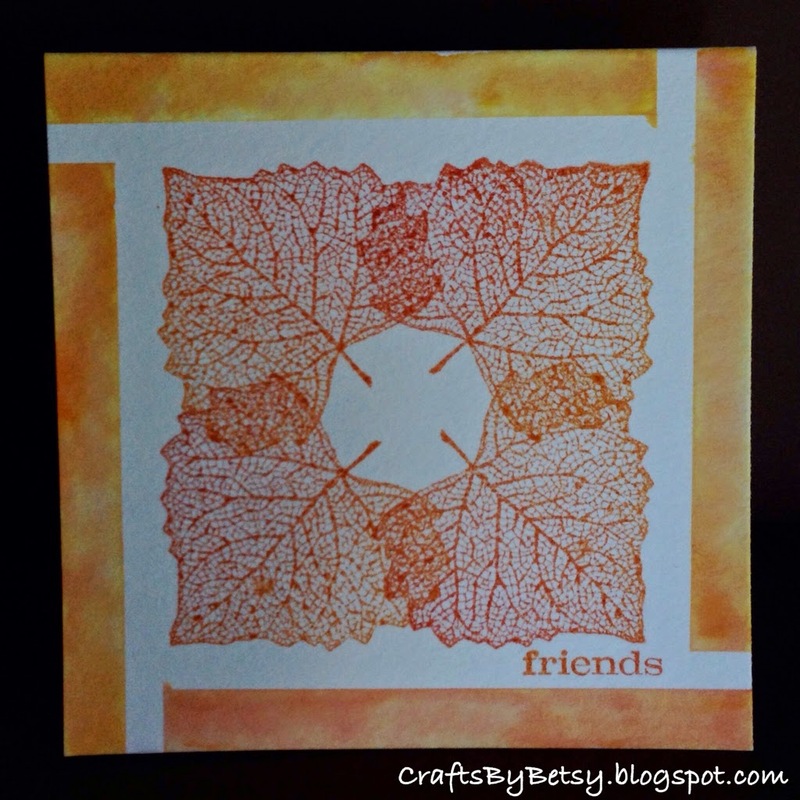 I removed the artists tape and let the card dry before finally stamping "friends" (also from Stampin Up) with the same ink. 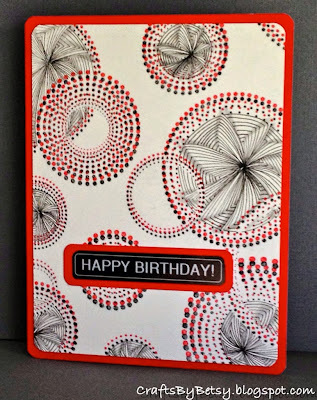 Images © 1990-2014 Stampin' Up! 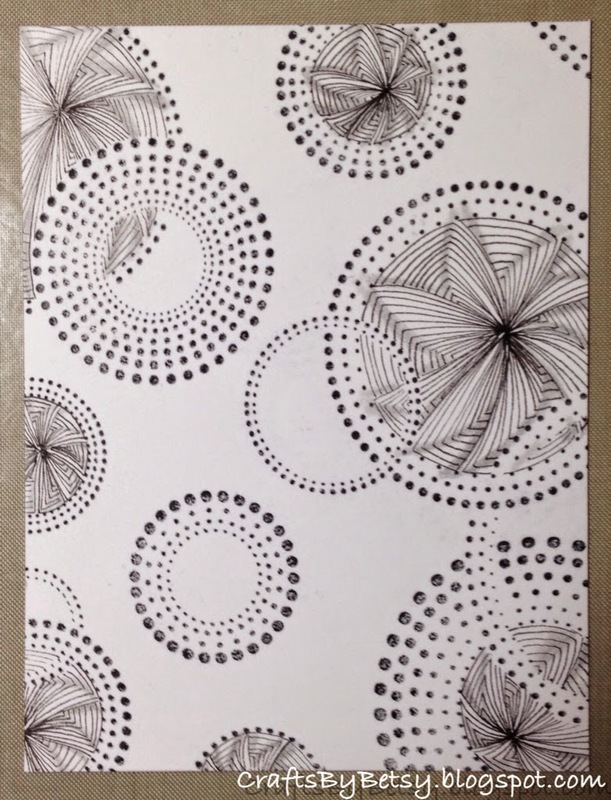 If you'd like to see more Zentangle®, check out my first post today here. 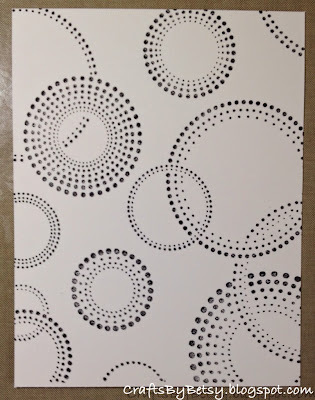 Or click on the Zentangle label to the right. Thanks for dropping in! Well WOW! Both of these are super creative - I love how you've created a square out of leaves and that zentangle seems to add so much dimension! So glad you joined us at OLS! 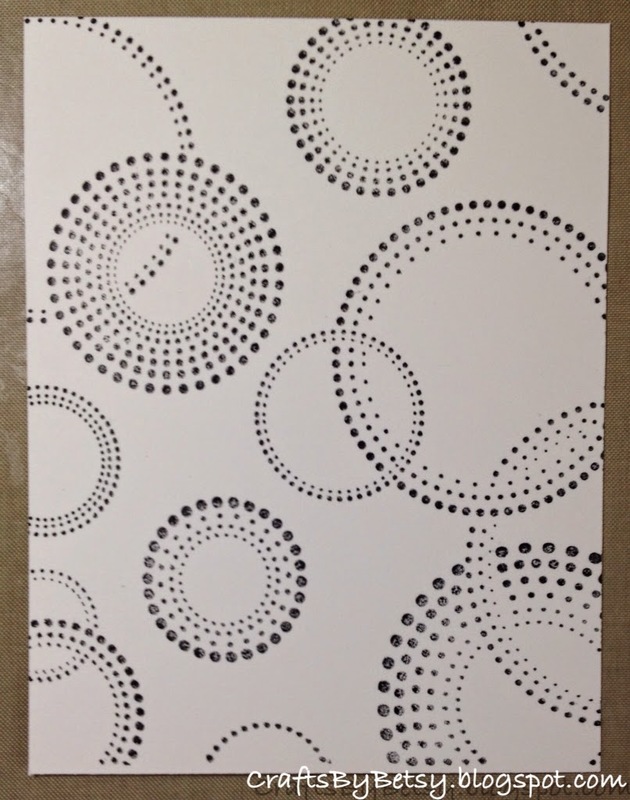 I like both cards but am partial to the one with the circles. I like all three looks and the offset red is cool (love optical illusions). What is that circle stamp? I've looked through Stampin Up and don't find it. Thanks! It's a large stamp. The wood block is approx 5" x 6". There is no name on the stamp except it does say "2005 Stampin' Up". I bought mine used. Sorry, that's all I know! Hope that helps!